Blanca A. Bañuelos - Co-director, migrant unit, California Rural Legal Assistance Inc.
SAN FRANCISCO (Thurs., June 22) — The Ninth U.S. Circuit Court of Appeals issued a landmark ruling today in favor of Jose Arias, a dairy worker who had sued his former employer’s attorney alleging retaliation under the Fair Labor Standards Act (FLSA). Mr. Arias initially sued the employer, Angelo Dairy in Acampo, Calif., San Joaquin County, in 2006, alleging it had failed to pay him overtime, denied him meal and rest breaks, and failed to pay him all the wages he was owed. 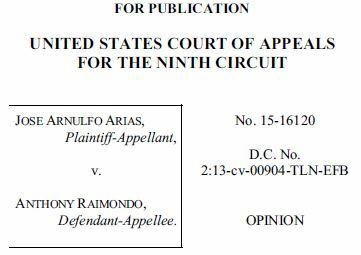 Lawyer Anthony Raimondo, who represented Angelo Dairy in that case, reported Mr. Arias to U.S. Immigration and Customs Enforcement (ICE) in an attempt to remove him from the United States shortly before the scheduled trial date in 2011. Represented by Legal Aid at Work and California Rural Legal Assistance, Mr. Arias sued Mr. Raimondo in the U.S. District Court for the Eastern District of California in 2013, alleging that Mr. Raimondo, acting as an agent for the dairy, retaliated against Mr. Arias for filing the initial lawsuit. FLSA’s purpose is to protect the most vulnerable workers in our country. In this decision, the Ninth Circuit reaffirmed that purpose, reminding that the FLSA is “remedial and humanitarian in purpose.” The court affirmed the right of all workers to be free from retaliation, regardless of their immigration status. “Today’s decision is a victory for workers across the country. It’s common for employers to retaliate against workers who stand up for themselves as they are viewed as trouble makers. We hope this decision helps workers come forward and reminds employers, their attorneys and others acting on their behalf that there are consequences if they choose to retaliate against workers,” said Blanca A. Bañuelos, co-director of the migrant unit of CRLA. Legal Aid at Work (formerly Legal Aid Society-Employment Law Center) delivers on the promise of justice for low-income people. We provide free direct services through our clinics and helplines. We offer extensive legal information online and in trainings, we litigate individual and class actions, and we advocate for new policies and laws. Details: www.legalaidatwork.org.